Oranges Deserve The Title "Golden Apples"! Oranges Deserve The Title “Golden Apples”! Oranges make us to get carried away by their juicy nature, raw pulpy slices, tangy and sweet flavour. They aren’t just tasty; the health benefits of oranges are also impressive. After getting to know about their benefits, we can release that it’s no wonder why they are called golden apples! These fruits are rich sources of vitamin C. You can fulfil about 72% of your diet requirements by consuming a medium sized orange. As any other fruit, oranges too act as a strong anti-oxidant eradicating the free radicals generated in our body. This nutrient rich fruit boots immunity in our body and helps us to resists common infections like cold and cough effectively. Make sure to always include oranges in your fruit baskets. As already stated, oranges also have significant quantities of vitamin A in them. This vitamin ensures high performance of eye muscle membrane. Age related muscle degeneration is effectively resisted by the presence of carotenoid compounds in this fruit. Regular consumption of oranges can help your eyes to absorb light. Hair fall is one of major problems of many people out there. To all such people, it is advisable to include oranges in their diet to control their hair loss. If you hate to have a bald patch on your head, start loving oranges. The presence of collagen strengthens the bond between the tissues of collagen. This quality of oranges has made them widely popular in beauty and cosmetic industry. In a variety of such products like creams, masks and face packs, you can find orange products as key ingredients. The presence of vitamin C makes it possible for these fruits to fetch us a healthier skin. It promotes synthesis of collagen, which is a dominant component in preventing premature aging. The presence of vitamin A in this fruit helps us to maintain a healthy skin membrane. When you look out for the fruit gifts for your loved ones, include oranges. If you are diabetic, you will be deprived of having sweet foods. Oranges are capable of maintaining the sugar levels in your body. This can turn out to be a good sign of relief for all such people out there who are waiting to tingle their taste buds with some sweetness. Oranges contain good quantities of both soluble and insoluble fibre. Problems like irritable bowel syndrome can be effectively prevented by the intake of oranges. You can also ensure good health of your stomach and intestines. 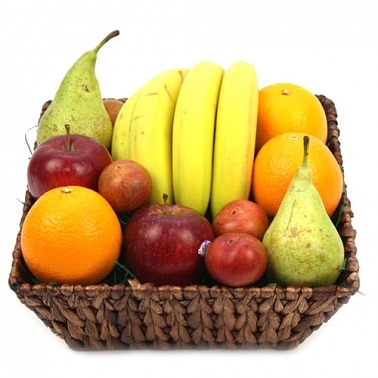 Brain development by these fruits is promoted by the presence of vitamin B9 in them. This fruit is highly recommended for the pregnant women to prevent neurological disorders to the baby. Polynutrients and polyphenols in these fruits strengthen memory and learning capabilities. The production of free radicals in our body oxidizes the cholesterol. These oxidized molecules adhere to the walls of arteries and prevent free flow of blood. The plagues continue to build up and increase the chances of arteries blockage. Vitamin C in oranges protects from the effects of free radicals. It is advisable to eat oranges along with their inner peel. Make sure that you don’t remove the inner peel while you cut it.